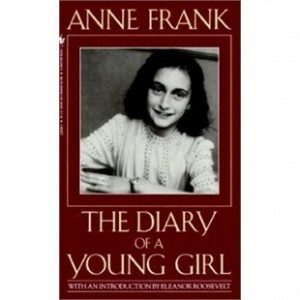 A cover of the English version of Anne Frank’s “The Diary of a Young Girl”, translated by B.M. Mooyaart and published on June 1, 1993. A well-known life narrative I chose to examine is The Diary of a Young Girl, written by Anne Frank, a young Jewish girl who became a victim of the Holocaust. The book’s description explains how she, her family, and one other family, spent two years hiding in an attic while Frank documented her fears and hopes in her own diary. The story’s popularity is most likely primarily due to the fact that it is the story of such a young girl who experienced such horrible experiences. It is a unique perspective and one that the cover emphasizes in order to appeal to the reader. For example, the title, written in large font along with her name, emphasizes that the diary is of “a Young Girl”. Moreover, the cover features a black-and-white headshot of a smiling Frank. Despite the serious subject matter of her narrative, featuring a smiling photo of her reminds readers of her youth and innocence as well as the hope she displays through her writing. Furthermore, near the bottom of the cover it is mentioned that there is an included introduction by Eleanor Roosevelt. Including such a reputable name gives credibility to the narrative. 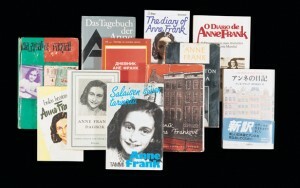 Several of the 70 translations of The Diary of Anne Frank. 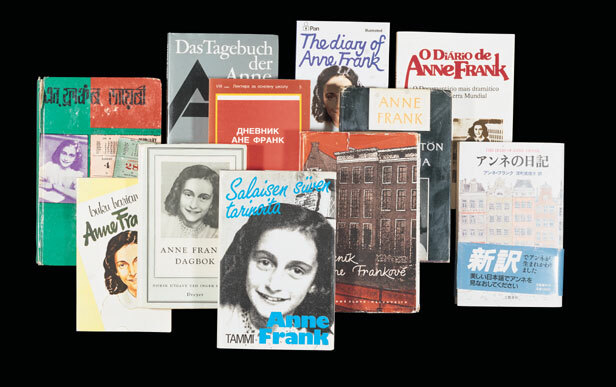 Although the diary was originally written by Frank in Dutch, it has since been translated into “70 languages, and published in over 60 countries”, according to annefrankguide.net. This has made the audience much more widespread and has given more opportunity for Frank’s narrative to be heard. Her story has clearly resonated with its spectators, as evidenced by the book’s many reviews – The Chicago Tribune, for instance, calls her narrative “an indestructible nobility of spirit in the face of pure evil“. Reader reviews published on the Indigo website also show sympathetic, compassionate responses to Frank’s story. The stories that emerge out of World War II are often told by adults, so it is this unique, innocent perspective that draws readers to The Diary of a Young Girl. © 2019 Exploring Contemporary Life Narratives. Theme by Anders Norén.